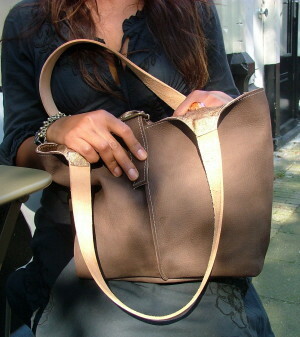 A shoulder bag with removable long strap to wear as cross-body bag, made of a unique brown/grey with a subtle pattern leather. 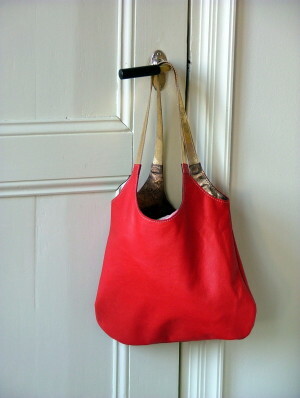 Patchwork shoulder bag using different colours of leather. 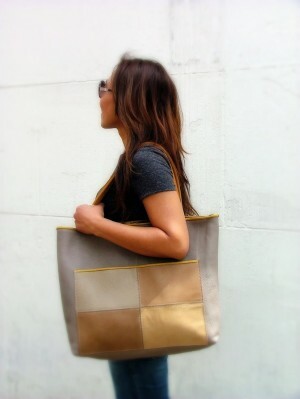 Some with pattern printed on it. 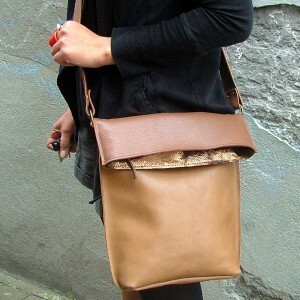 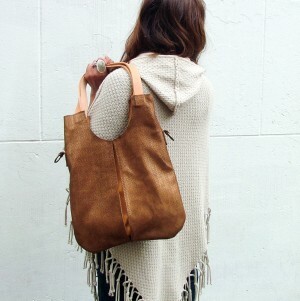 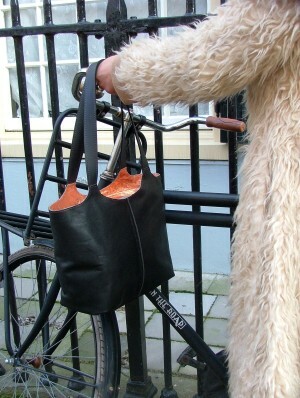 A shoulder bag with removable long strap to wear as cross-body bag, made of a unique brown/bronze leather. 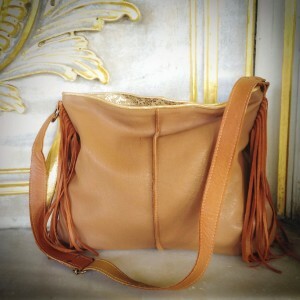 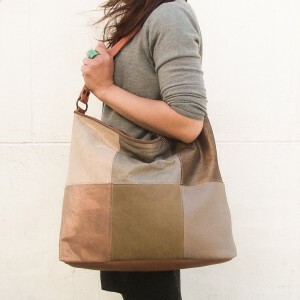 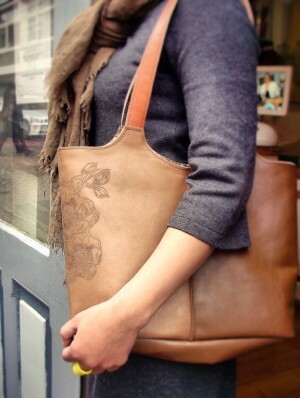 A cross-body/shoulder bag with adjustable strap, made of taupe leather.